The Childbirth Connection is an organization committed to helping expectant parents and health professionals make informed maternity care decisions. This organization is an extensive resource in exploring and understanding the options of where to seek maternity care and whom to seek it with. The Midwives Alliance of North America (MANA) published a study in the Journal of Midwifery & Women’s Health in January 2014. This is the largest study of planned, midwife-led home birth in the U.S. to date. Outcomes are reported for nearly 17,000 women who went in to labor intending to deliver at home between 2004 and 2009. Results for low-risk mothers are consistent with most studies of planned home birth. In a study published in the British Medical Journal, researchers analyzed over 5000 home births involving Certified Professional Midwives (CPM) and compared home birth outcomes and medical interventions with low risk hospital birth outcomes and interventions. The conclusion indicated that planned home birth for low risk women in North America using Certified Professional Midwives was associated with lower medical intervention but similar intrapartum and neonatal morbidity to that of low risk hospital births in the United States. 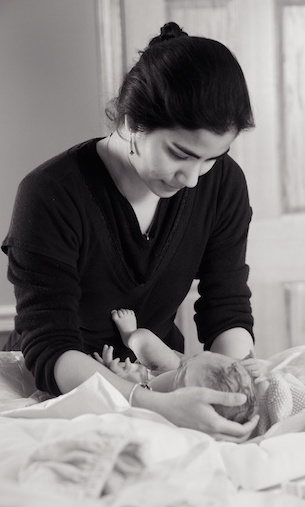 In June of 2015, the New England Journal of Medicine featured an article by physician, Neel Shah, about home birth in the US and in the United Kingdom. The UK’s National Health System, in 2014, recently recommended that home birth may be the safest option for women experiencing a low risk pregnancy. ACOG published their support and recommendations for low intervention birth here. Maternity care is so much more than just physical safety; it involves emotional safety as well. The link here takes you to a beautiful video made by the White Ribbon Alliance honoring respectful maternity care as a human right. As a Licensed Midwife, I follow the community standards of care: providing continuity of care, assessing a person’s contextual health and well-being, providing education on nutrition and exercise, and offering routine laboratory screening and testing in pregnancy. The prenatal period also offers a unique opportunity for midwives to make home visits and assess safety and well-being at home. As needed, midwives will refer clients to a medical provider if signs of complications develop. The Wisconsin Department of Safety and Professional Services lists the requirements for Licensed Midwives for referral and consultation with a physician. In labor and delivery, the community standard is to carry a fetal doppler to asses fetal heart tones, anti-hemorrhagic medications including pitocin and methergine, oxygen for both mother and baby, a bag and mask to deliver oxygen, IV equipment, and IV fluids. Midwives providing out of hospital care have current certification in neonatal resuscitation as well as adult CPR. Many of the issues that arise for healthy expectant parents and babies can be handled with these initial measures at home, measures that are similar to a level I hospital. For those needing medical care in a hospital setting, transfer of care will be initiated while the midwife accompanies her client during the transfer. It may be helpful to visit a physician or hospital-based midwife during the prenatal period to make this transfer occur as smoothly and efficiently as possible. After the birth, the community standard is to continue to provide ongoing postpartum care and support until 6 weeks. This care includes weight checks, jaundice evaluations, lactation support, newborn screening, birth certificate filing and full guidance until the well-being of mother and baby is established. As always, midwives will refer clients to a physician if signs of complications develop.